MARTHA MOMENTS: Book of the Month: "Collected: Living With the Things You Love"
Book of the Month: "Collected: Living With the Things You Love"
Most of us - if not all of us - remember Fritz Karch, the fantastic, wizzard-like Collecting editor at Martha Stewart Living, who dressed almost exclusively in vintage plaid suits. 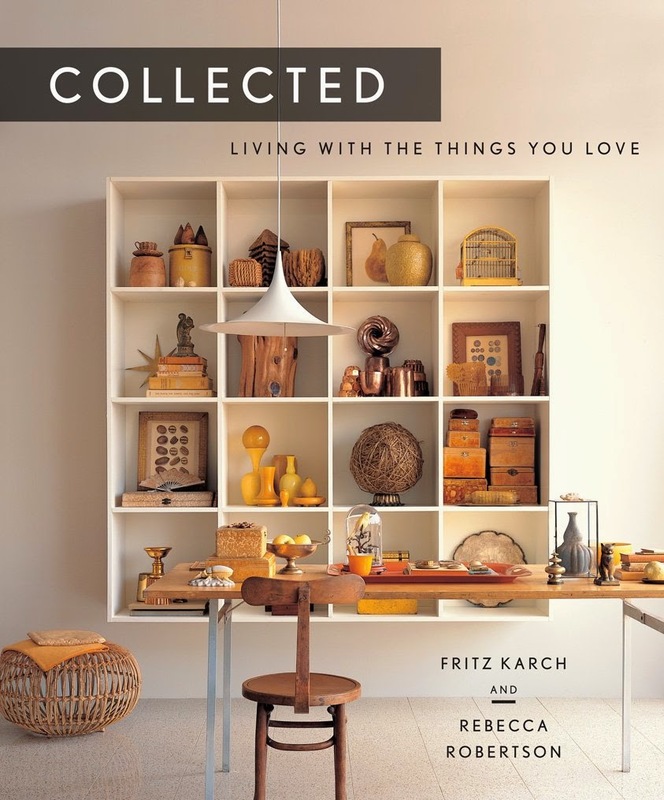 Fritz has not been with MSLO for a few years, but I was so happy to learn that he has written a new book about his favourite subject: Collecting! He partnered with another MSL alum, Rebecca Robertson, the former Home editor at the magazine, who helped Fritz edit and style the subject matter. Their new book, "Collected: Living With the Things You Love" serves as a guide to collectors, helping them bring their treasures out of storage and into the rooms they live in so that their collections can be enjoyed every day. The book teaches readers the basic principles of the hunt while exploring the thoughtful and inventive ways people display their various collections, from the accessible and affordable to the aspirational and extreme. The featured collections range from dice to café au lait bowls to 19th-century-French sewing tools to sand from world travels—illustrating collections as expressions of personal style. It is divided into 16 chapters by collector type (The Modest, The Minimalist, The Exceptionalist, The Maximalist, etc.) and presents rooms filled with peculiar, elegant and awe-inspiring collections from around the world that suit the specific type of collector. Make sure to add this volume to your book collection! I have really missed Fritz's contributions to the magazine, their collecting stories are not the same. Thanks for sharing this! Wow thank you for sharing Andrew, I admired Fritz Karch and I love Rebecca Robertson, they are both inspiring people. I will definitely order this book. I will ask Santa for this! Thank you Andrew!